Squarespace is returning for its fifth Super Bowl, this time with a spot starring actor Keanu Reeves. 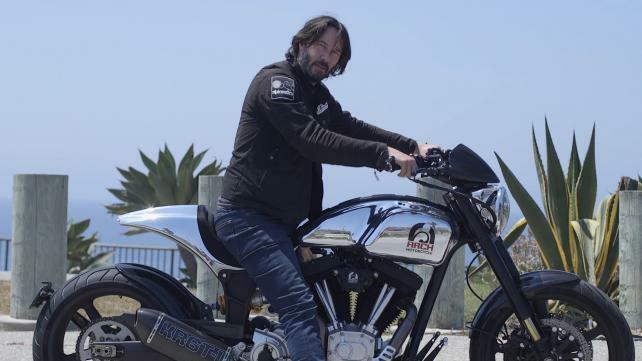 Reeves is a long-time Squarespace customer, according to a company spokesperson, and uses the platform for his motorcycle business Arch. The 30-second spot, which was created in-house, will play upon his history as a customer. Last year, Squarespace aired a humorous Super Bowl commercial starring John Malkovich showing the actor trying to get the domain JohnMalkovich.com back from whomever bought it. Squarespace's 2016 Super Bowl commercial starred comedians Keegan-Michael Peel Key and Jordan Peele. And in its 2015 spot, Squarespace helped actor Jeff Bridges launch an album of relaxing sounds, guided meditations and stories designed to lull users to slumber. It began its Super Bowl streak with a debut in 2014 ("A Better Web Awaits") depicting the web as a frightening place "full of annoying, disruptive banners and pop-ups asking about your mortgage, offering up nudie photos, and telling you you have a virus," as the Super Bowl Ad Archive notes. Squarespace, the archive entry adds, "puts an encouraging, aspirational spin on the whole thing, telling you that it's within your power to make the internet a more beautiful place (by using Squarespace's services)." Squarespace has faced off against rival Wix.com in the last three games ("#DisruptiveWorld," "Start Stunning" and "It's That Easy"), though Wix.com is sitting out this year, and frequently GoDaddy (most recently "Good Morning" in 2017). There's no word yet on whether GoDaddy is buying time in Super Bowl LII.